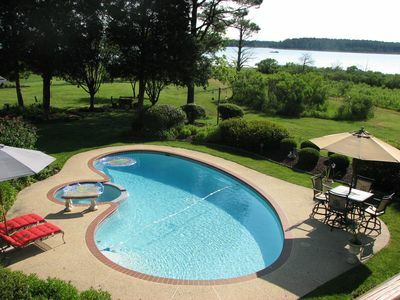 This 6,900 square foot 7 bed 6 bath waterfront home with enormous swimming pool comfortably sleeps 27 people comfortably. 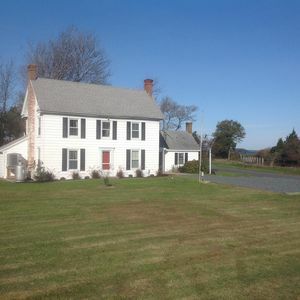 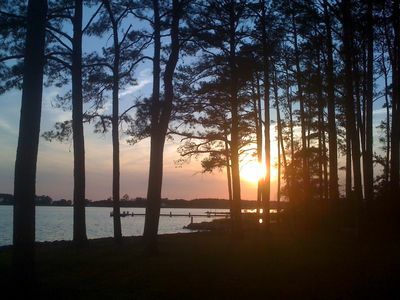 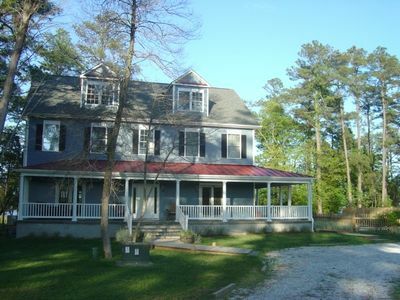 "Captains Quarters on the Bay" sits on 3 private acres providing impressive south westerly views of the Little Choptank River outward towards the Chesapeake Bay. 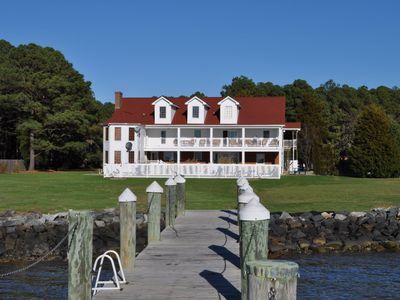 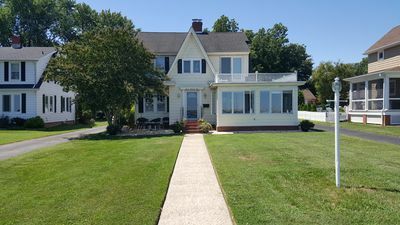 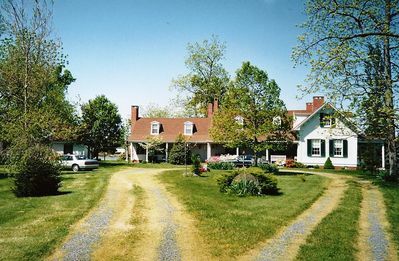 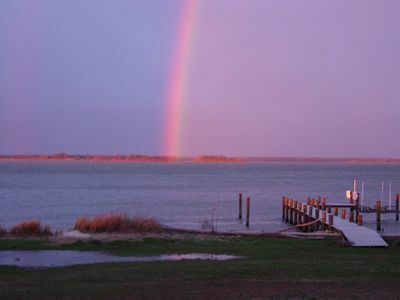 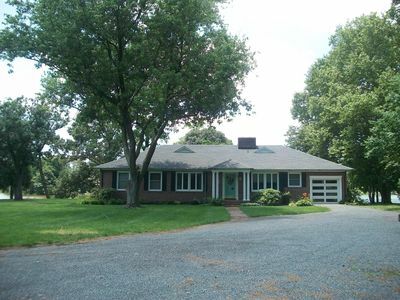 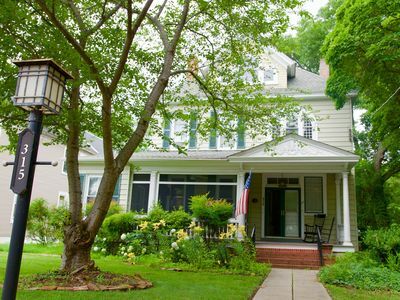 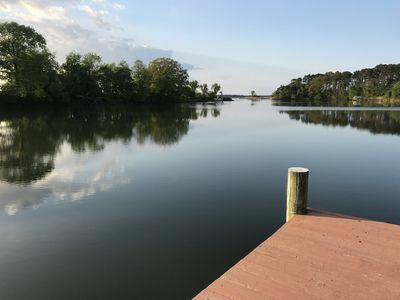 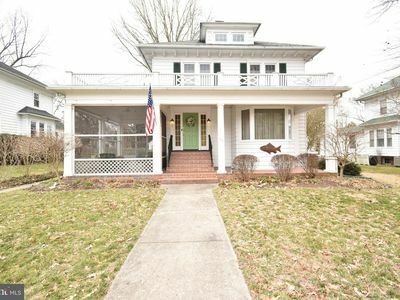 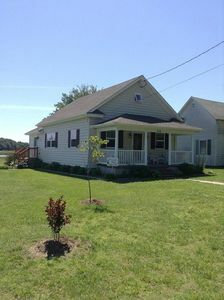 This destination property offers swimming, fishing, crabbing, boating, hunting, dining and relaxing, in the midst of true Maritime atmosphere of the Chesapeake bay. 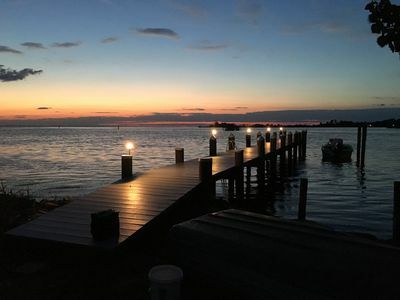 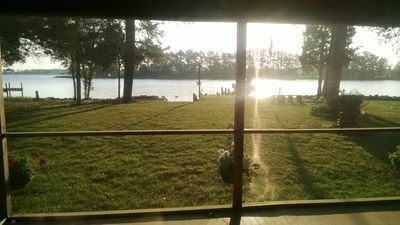 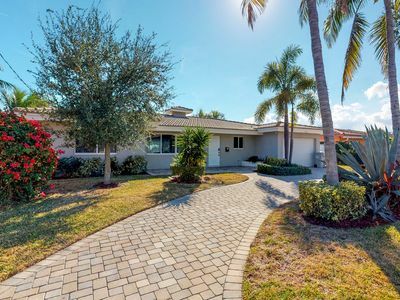 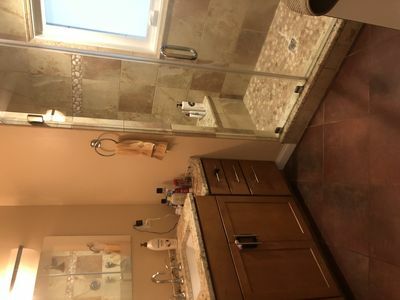 A private dock with kayaks, fenced swimming pool, year round hot tub, basketball court, splinter free playground, large manicured waterfront lawn with a horse shoe pit, large gazebo, double built in charcoal grills and outdoor fire pit make for great outdoor activities for all ages. 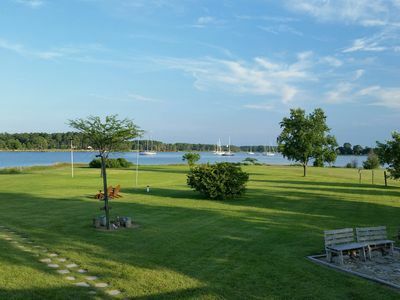 The world renown Hyatt Regency waterfront golf course is less than 7 miles away and is open to the public. 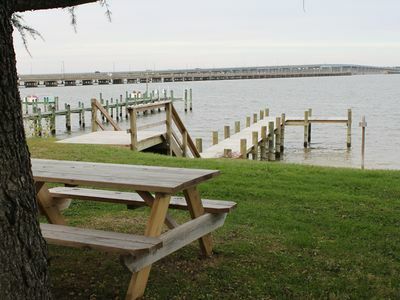 The home offers deluxe living complete with designer furnishings, and a large wrap around covered porch with awesome water views. 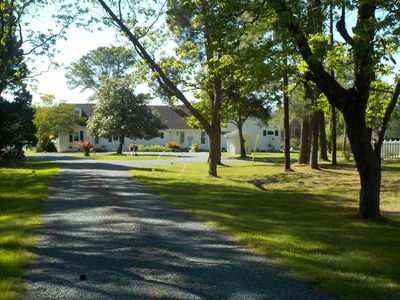 Two kitchens, one downstairs for poolside service and one upstairs for the main cooks (has a 6 burner stove and three ovens upstairs for making great family meals). 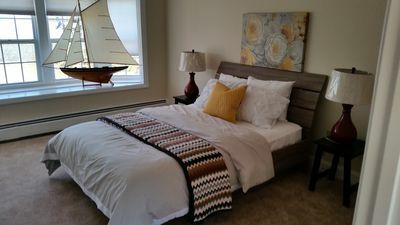 Inside Rec-room with games, air hockey and pool table provide space for everyone.